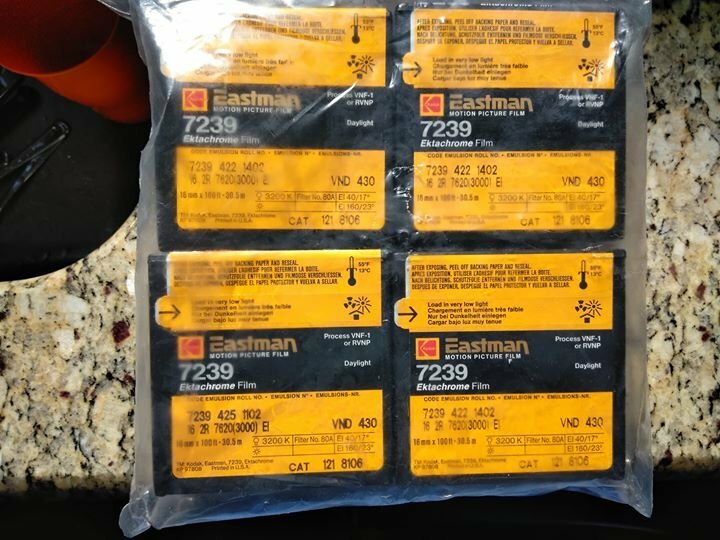 There's a guy on Facebook selling 10 100' rolls Eastman Ektachrome 7239 Daylight double perf (from his freezer). $325 or $35 ea. I have purchased Super 8 gear from him before, his name is James E Stubbs, he's in Portland, Oregon. - I would buy it but I have too much film right now, no room in the freezer! This is VNF process, which was discontinued 15 years ago. Apparently it can be processed in E6 but odd things happen to the colour.